We’ve put our experience to work for you in a white paper that will not only show you how to get started, but more importantly, the questions you need to ask both of yourself and the design firm charged with creating your new packaging. 1. The best product types for seasonal packaging. 2. The seasonal packaging timeline. 3. 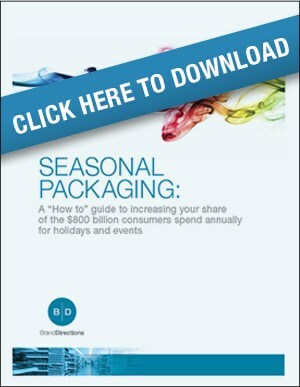 A best-practice plan for developing your seasonal packaging. 4. The essential questions you need to ask your design firm. 5. How to determine your design direction for greatest impact without losing your brand equity.